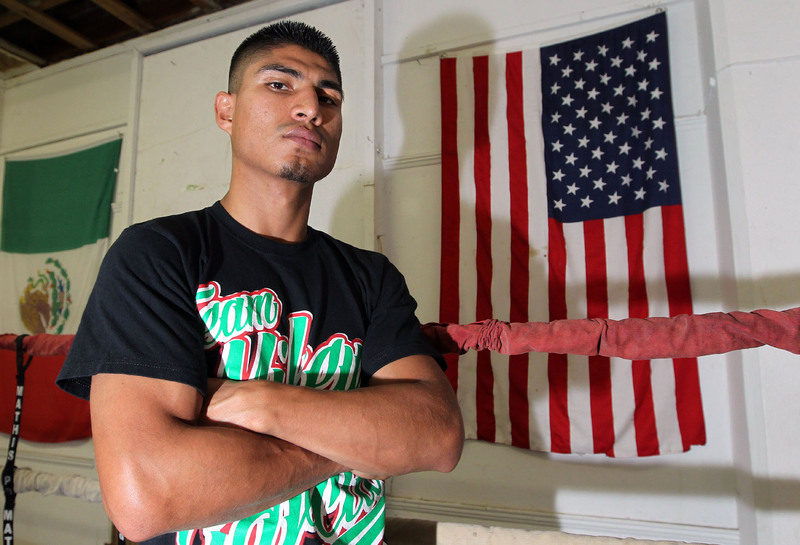 Mikey Garcia KO’s Roman Martinez Inside 8! CORPUS CHRISTI, TX, November 9, 2013 — Mikey Garcia, at left, knocks out two-time WBO junior lightweight champion Roman “Rocky” Martinez in the 8th round ,Saturday, November 9 at the American Bank Center in Corpus Christi, Texas. 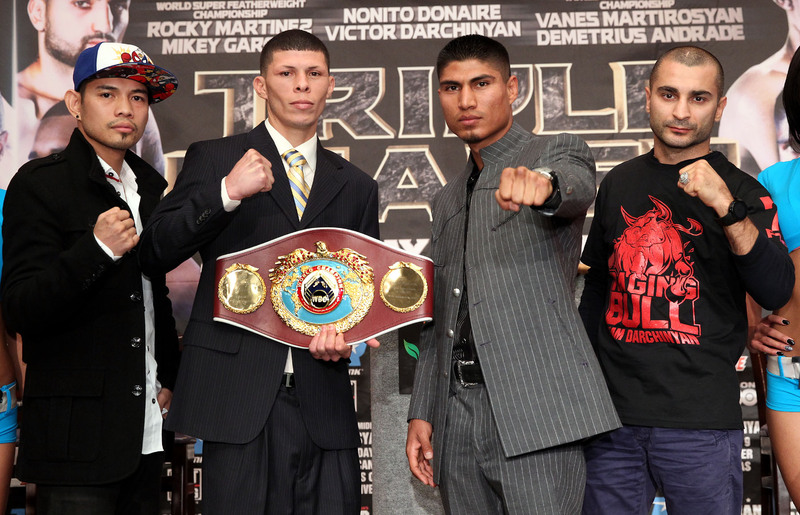 CORPUS CHRISTI, TX, Nov. 7, 2013 — Nonito “Filipino Flash” Donaire (far left), two-time WBO junior lightweight champion Roman “Rocky” Martinez (mid-left) ,undefeated former WBO featherweight champion Mikey Garcia (mid-right), and Vic “Raging Bull” Darchinyan (far right) pose during the final press conference for their upcoming tripleheader fights on Saturday, November 9. 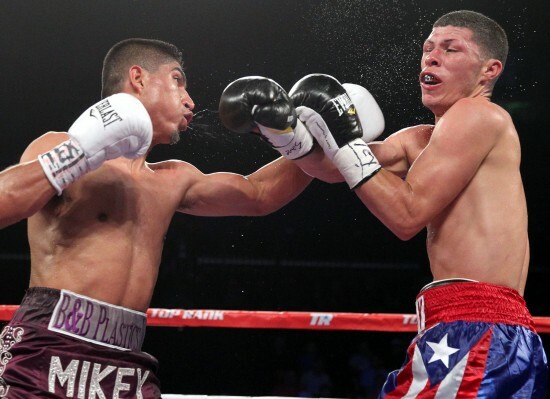 Promoted by Top Rank®, in association with Foreman Boys Promotions, PR Best Boxing, Arthur Pelullo’s Banner Promotions, Joe DeGuardia’s Star Boxing and Tecate, this world championship tripleheader will be televised live on HBO Boxing After Dark®, beginning at 9:30 p.m. ET/PT from the American Bank Center in Corpus Christi, Texas.